Uteos - vacation in the Crimea in the summer of 2019. Crimea Alushta Crimea Uteos holiday houses. Rest in Crimea - boathouse "Feet in the Sea". Alushta, Uteos, Crimea, the holiday house! Crimea, Alushta, Uteos and the rest in the Crimea - the words for today are synonymous. Uteos is a small town holiday house, sparkling like a precious jewel of the coast of the Sea, not far from Alushta and Partenit. Choosing a holiday in the Crimea, holiday house "Feet in the Sea" in p.Utes would be the perfect choice for those interested in vacation in the Crimea in 2019, without intermediaries. 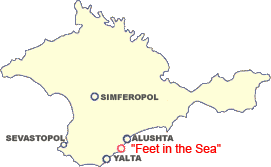 Already interested in the details of the scheme rest of Crimea, Alushta, Uteos, holiday house "Feet in the sea"? Why choosing the holiday houses in the Crimea for VIP vacation should look to the resort village of Uteos? Here, in the Crimea holiday house "Feet in the Sea" is located adjacent to the cottages and private hotels, the company that make lovely cafe. It was visited by many famous stars from around the world, and, for example, Alain Delon, testing the VIP vacation in the Crimea in the summer, compared the local places with a cake with fruit, because the roofs of houses, being sustained in bright colors, the color reminds cream dessert, which conceals the Crimea. Alushta in Section Uteos brings a relaxed holiday atmosphere - here you can admire not only the sea but also observing the urban landscape, which is organically composed of different houses. Despite the fact that they were building at different times, houses harmoniously complement each other, delighting the eye for those visitors who spend a vacation in the Crimea in the summer of 2019. It is necessary to come to the Uteos (Crimea) - holiday houses here have a special architectural style, as they are made of special projects, taking into account the specifics of the resort - for maximum comfort guests. It is worth noting the general atmosphere that prevails on the streets of the village of Rock. 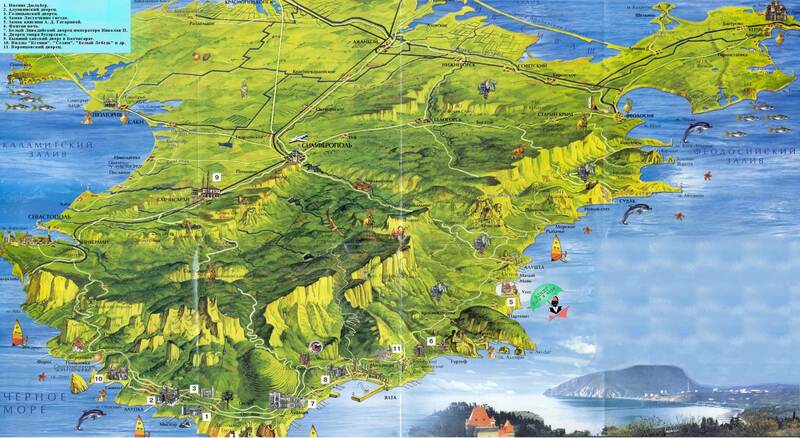 Rest in Crimea - the concept is too general and depends on the city, where you decide to relax. Big cities, where many tourists, especially during the summer, began to seem like a metropolis: the noise, hustle, bustle - in the streets, and beaches, the lack of free space, and other signs that the holiday in the Crimea in the summer is becoming more popular and mass. Utes, Crimea, Holiday house - currently represent vacation in the Crimea without intermediaries, as referring to the owners of the shed to the contact details - you can rent a holiday house in the Crimea without extra charge, specify all your points and get answers to your questions. Crimea: Alushta, Uteos - this is where you can really feel like time is slowing down. On small streets leisurely march passers-by, occasionally crawl machine. Town of holidays houses - Uteos, is a place where you can enjoy peace, because it is located to the side (at 4 km.) From the Simferopol-Yalta highway. If you decide to visit the Utes for the first time - vacation in the Crimea in the summer for you to open an unexpectedly beautiful hand. The atmosphere is one leisurely lifestyle that is so prized by those who fully knew the taste of the urban everyday hassles. If you liked the town holiday houses Uteos - vacation in the Crimea in the summer of 2019 you will be one of the most pleasant life events. In addition to the warm sun and caressing sea, giving charge of health and vitality - you will long remain fond memories. to owner of the holiday house "Feet in the sea"!